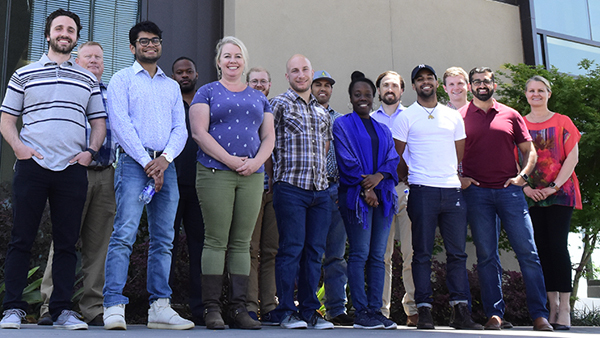 The three-year program is coordinated by the International Center for Water Technology at Fresno State and provides guidance on sales, marketing, distribution and venture capital for emerging companies in the water, agriculture and energy technology fields. Funding was made possible by a $500,000 federal grant through the Regional Innovation Strategies i6 Challenge and Seed Fund Support Grants competition and the BlueTechValley innovation cluster funded by the California Energy Commission. Companies accepted into the program must demonstrate the potential to have region and industry economic impact, along with the ability to improve the efficient use of scarce natural resources. Other evaluation criteria include commercial value, environmental impact, fundability, leadership, potential return, personnel skills and scalability. The previous cohort’s 13 companies included Agri-logix, AjO, Azadi, BioFiltro, BLH Aguatech, BoxPower, HerdDogg, Map Thread, Re-Nuble, Spooky Action, Sweep Energy, Tiny Farms and Waterfind. One company, HerdDogg, used the campus farm to test its dairy cow ear tag technology that is also found in 10 states and in Australia, Brazil and Norway. The unit sensor uploads physiological and GPS location data to the cloud online storage provider so managers can better track and monitor health and activity throughout the dairy. The company’s founder and CEO, Melissa Brandao, fits the entrepreneurial pedigree that the cohort is trying to attract. She has worked the past decade on the development of specialty agriculture technologies; was the first female to found an electric vehicle company; and was one of 32 entrepreneurs and companies invited to participate in a White House Demo Day event in 2015. The Valley Ventures Accelerator is now accepting applications through August 1 for its third cohort. The three-month cohort will select eight to 12 companies to participate in three, two-day sessions starting in September. The fall session will culminate in a final open-pitch demonstration in November to the public, industry members, campus faculty and staff and potential investors. Participants will take part in exercises and learning modules led by professionals, investors, industry experts, successful entrepreneurs and target consumers. Guest speakers will also offer advice about the evolution of their successful companies at similar stages of customer and venture capital development. For more information on the program, visit http://www.valleyventures.org or contact Benjamin Francis at 559.270.7121 or bfrancis@mail.fresnostate.edu. 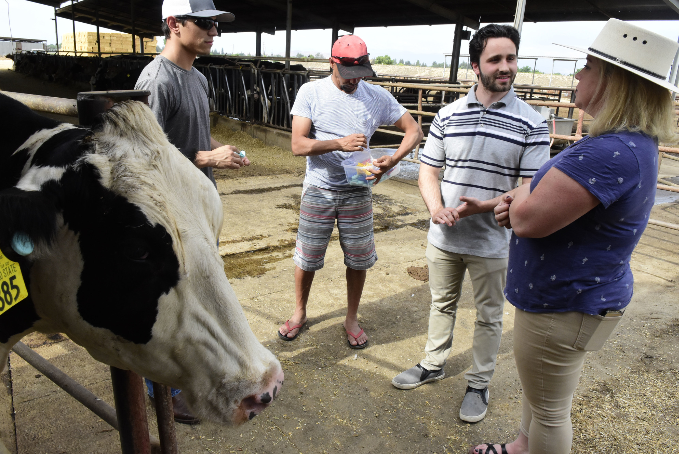 (From left:) HerdDogg employee, Aaron Andrade; Ronaldo Brandao, Melissa Brandao's husband; Ben Francis, project coordinator; and HerdDogg CEO/entrepreneur Melissa Brandao at the campus dairy.